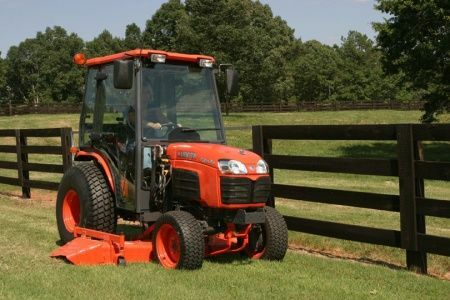 Standard Cut 1 - In Standard Cut mode, the rugged deck is ideal for fast mowing, even through tall grass. 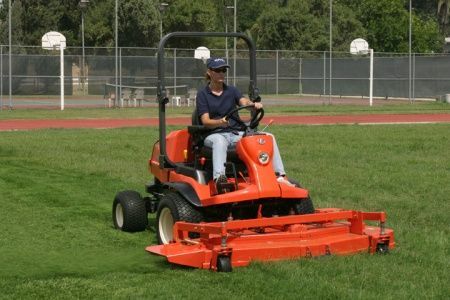 two sizes are available - 60" & 72" - for different mowing applications. Both feature side discharge, quick coupling, and easy maintenance. Fabricated Deck with 7 - Gauge Steel Construction - Stronger and more durable than conventional pressed steel decks, the F80 Series' fabricated steel deck is designed to provide years of reliable cutting performance with minimal maintenance. 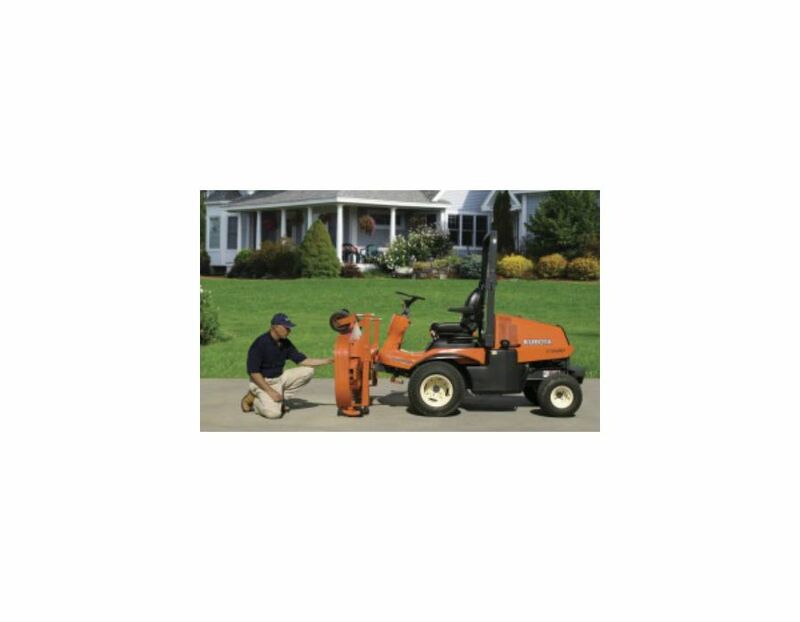 Rear Discharge Mower - Wehn side discharge won't do, mount an optional rear discharge deck. Two sizes - 60" and 72" - are available. Both decks tilt up 90 degrees for easier cleaning and blade sharpening. They also feature 7-gauge steel construction for greater durability and front lift arms that attach directly over the centre of gravity for better control. Mulching kits are available. 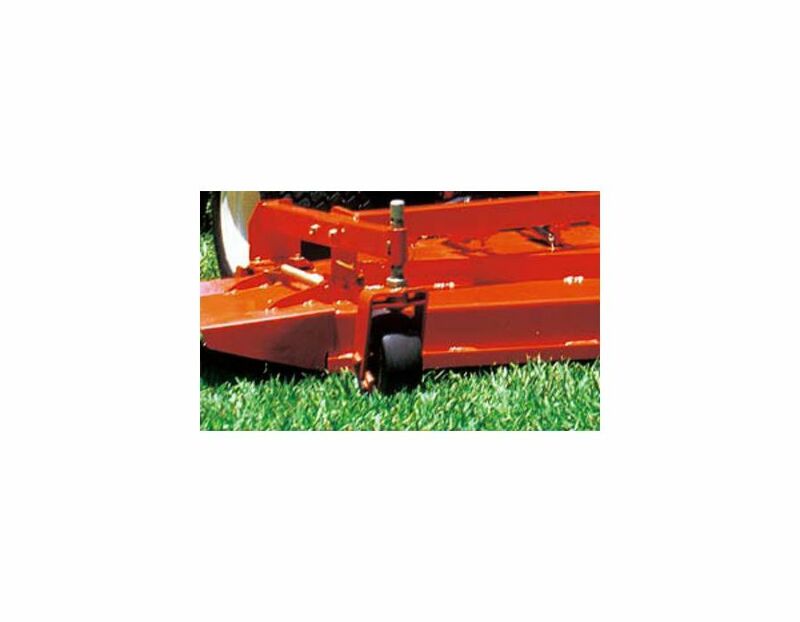 Multi-V-Belt/Steel Pulleys - In addition to providing greater wear resistance, the heavy-duty, cast-iron pulleys and a multi-V-belt drive system effectively distribute and reduce tension while transmitting power to the mower blades. 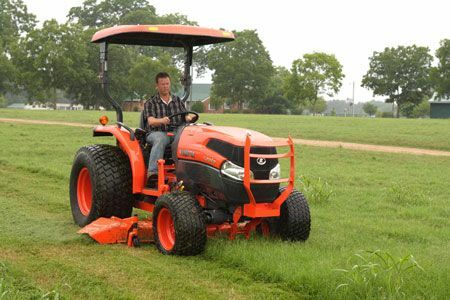 The multi-V-belt won't twist or slip, thus reducing the chance of damage to the mower. You get more performance and power - and fewer problems. Mulching Cut 3 - The professional mulching kit converts the standard deck into a high-precision mulching deck that produces an even finer mulch and sends it straight back into the turf. 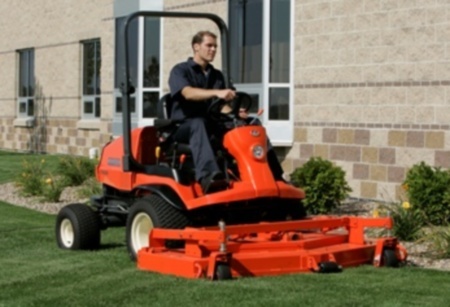 5.5" Deep Deck - Tall grass is no problem for this side-discharge professional mowing deck. Its 5.5" - deep deck design lets tall grass stand up so that it can be cut more efficiently. The result is a faster cut and a cleaner appearance. 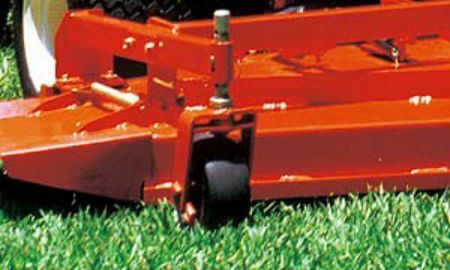 Swivel Anti-Scalp Wheels - The mower deck is equipped up front with two large wheels that swivel independently through 360 degrees. The wheels ensure that the deck remains above the turf, preventing unsightly turf damage. 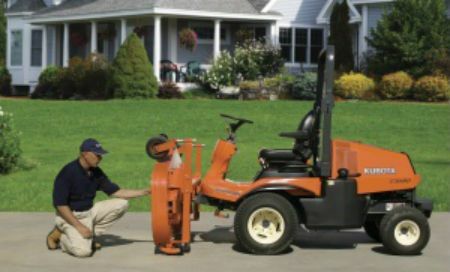 PTO Shaft Drive - Shaft drive means no belts or pulleys - just smooth and direct power transfer from the engine to the deck and other PTO implements. Shaft drive also requires less maintenance and provides greater dependability. 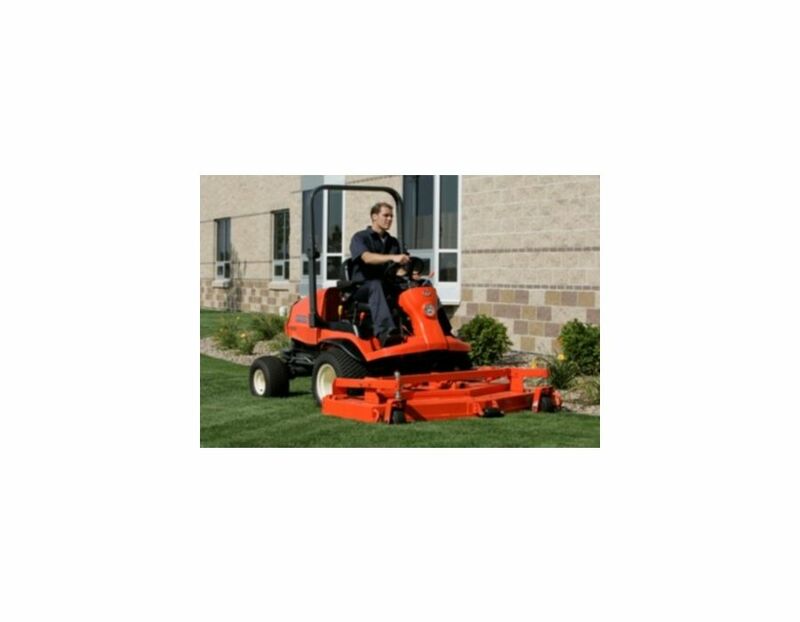 90-Degree Tilt Mower Deck - The mower deck lifts a full 90 degrees, providing unobstructed access to the blades and deck underside for easier cleaning and maintenance. The 72" Rear Discharge F80 Series Mowersis available at Kooy Brothers, located at 1919 Wilson Ave., Toronto, Ontario.